Save yourself a trip to the dump. 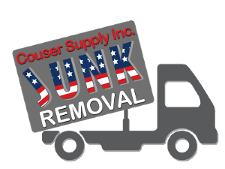 Instead, allow Couser Hauling in Alexandria, Virginia, to provide same-day, affordable, and comprehensive junk removal services. Because we feature on-demand bulk trash pickup, you don’t have to haul away the junk by yourself, and you don’t have to wait even a day for services. Depend on us for fast junk removal when you’ve finally decided to clean out your garage, attic, yard, or warehouse. We serve both residential and commercial customers, and we offer are services at competitive rates. 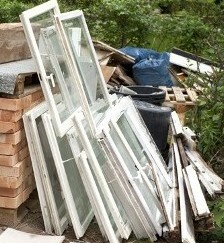 Remove unsightly and unwanted materials from your property with help from our team. You’ve got junk, and we’ve got solutions. The best part about our junk removal service is our willingness to go above and beyond to serve you. You don’t need to cart your junk to the road or even get it ready for us. All you need to do is tell us where it is, and we’ll pick it up, put it on our trucks, and take away. Whether the junk is in the attic, the basement, or somewhere else on your property, you can depend on us to provide comprehensive junk removal services. Removing bulk trash and rubbish is not only a headache for you, but it is also dangerous. You should never lift or move anything that could cause damage to you or your property. Our highly trained team provides safe junk removal and is always respectful of you and your property. Contact us if you need help removing old furniture, debris, or broken appliances from your property. We proudly serve residential and commercial customers in Alexandria, Virginia.